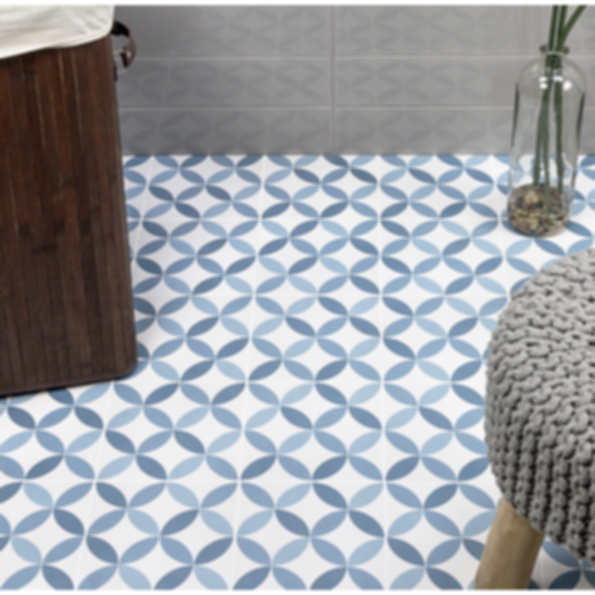 Bring a burst of pattern to the floors of your space with Norwalk Floor Tile. A crisp, clean 8x8 matte porcelain tile with a white background and a circular print that features contrasting light and dark shades of coastal blue. Flexibility of placement is endless since it can be used outdoors, or indoors. Imagine the your shower, your patio, your kitchen, all modern and subtlety stylish. Never mistake timelessness for dullness again!